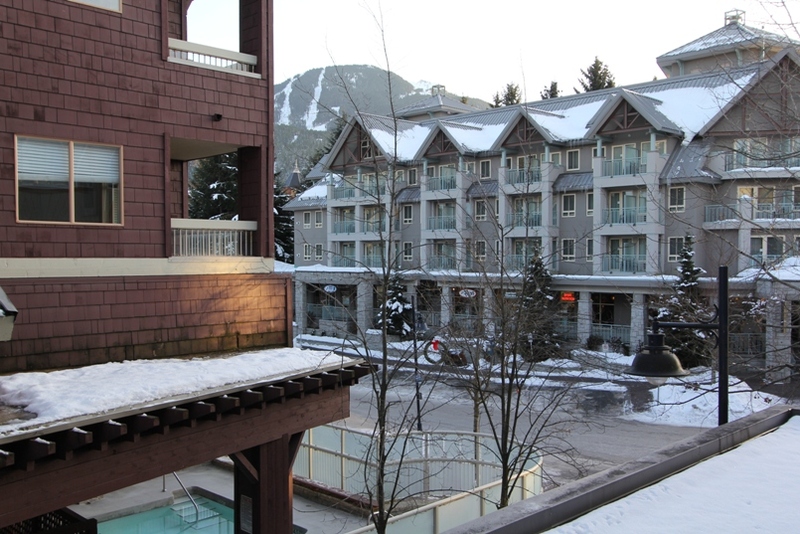 Located in Whistler's popular Marketplace Square, this standard studio includes a full kitchen, gas fireplace, and balcony. Features a Queen Murphy bed and Queen sofabed. Guests can enjoy the shared hot tub. 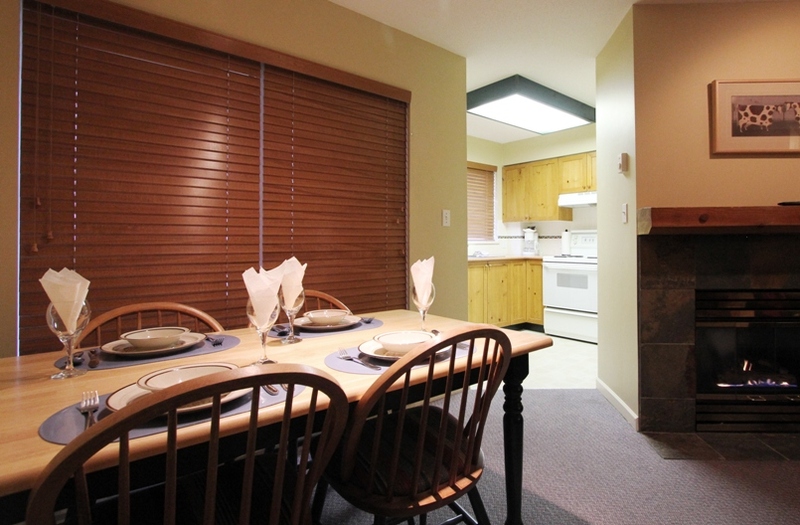 Ideally located in the heart of Village North, this budget-friendly studio is perfect for singles and couples. 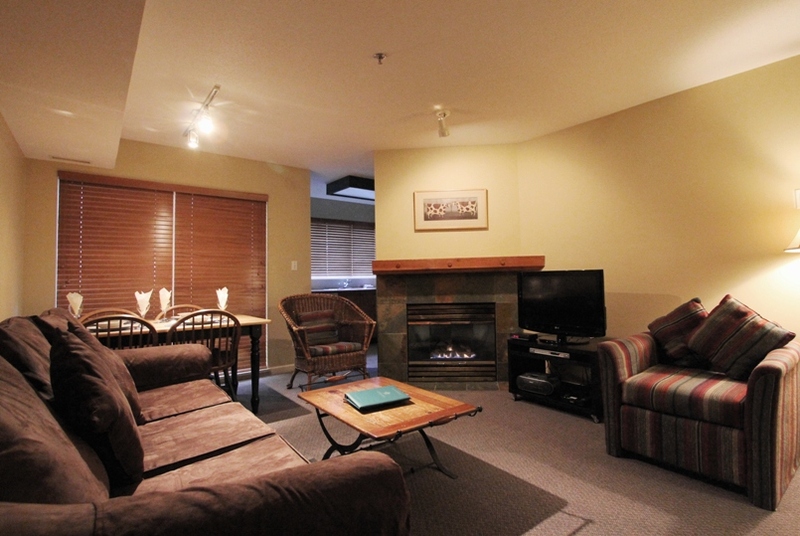 Open-plan living/dining area with a gas fireplace, a queen sofabed, queen Murphy bed, and 32" LCD TV and DVD player. Dining nook with seating suitable for up to 4 guests. 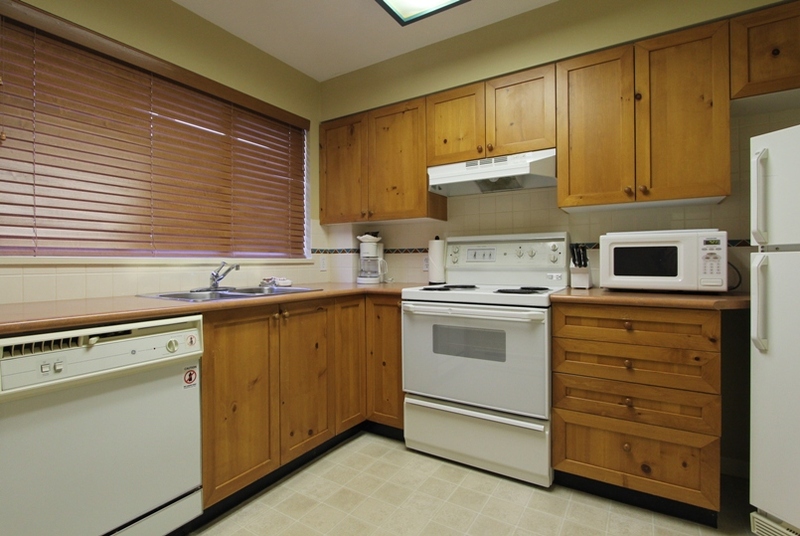 Fully-equipped kitchen with full-size appliances. 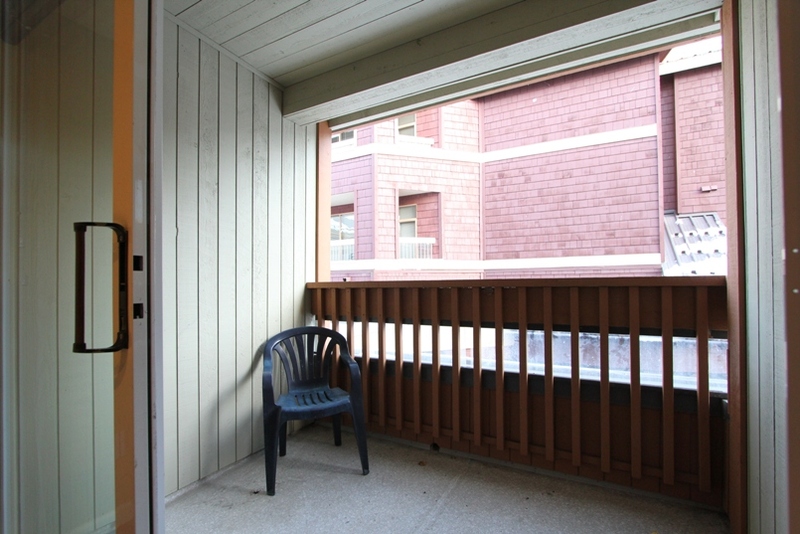 Large balcony with Village views. Private washer/dryer. 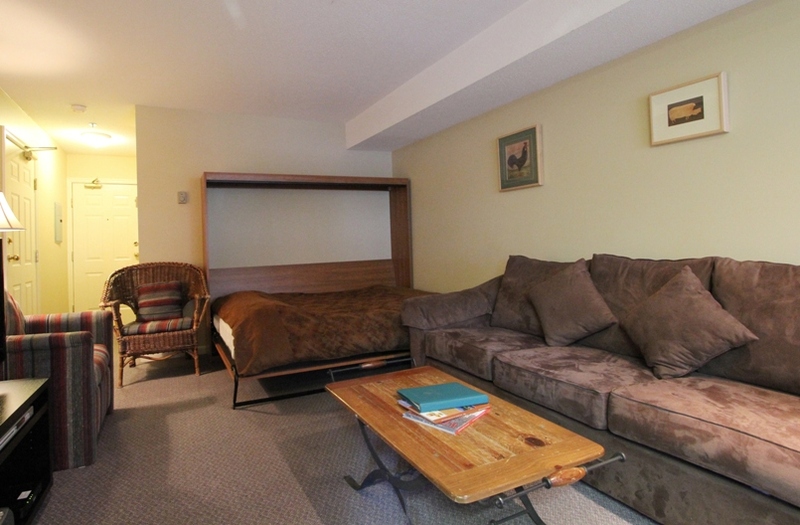 Although there is no bedroom in this studio, there is a queen Murphy bed and a queen sofabed in the living room. The bathroom has a bathtub/shower combo. There is one free underground parking stall. 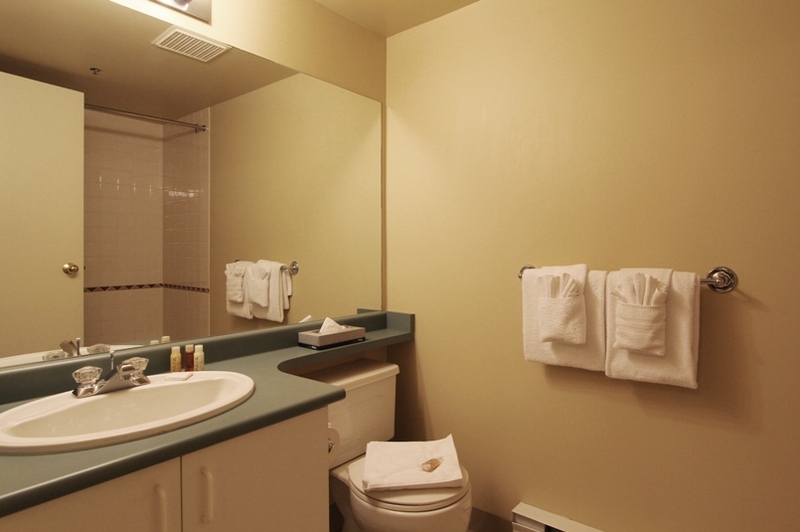 Guests at Marketplace Lodge can also enjoy use of the common laundry facilities and common area hot tub. The free Village shuttle stop is across the street and will take guests to the lifts in under 5 minutes. Golf is less than a 10 minute walk away and the lifts are less than an 8 minute walk away. Please note that these rates are the base rates and would not reflect any specials applied to them. To view the most accurate rates for your dates and duration of stay, please use the online search, or call 1-866-944-7853.